Just Listed :: Gorgeous John Willis Traditional in Decatur! Welcome home to this beautiful John Willis traditional located on a quiet cul-de-sac street! The flowing floor plan, custom features, and charming character of this home will never go out of style. The close proximity to I-285, Highway 78, and Lavista Road makes it convenient to and from any direction. You’ll also love being close to a variety of great restaurants and shopping spots! · Kitchen features granite countertops, walk-in pantry, ample cabinet space, and breakfast area. · Formal dining room is perfect for entertaining guests. · Spacious family room boasts a soaring ceiling, cozy gas fireplace, and automated window treatments. · Master suite is a true retreat including a trey ceiling, sitting area, and dual closets. · Spa-like master bathroom features a double vanity, luxurious soaking tub, and separate shower with marble surround and flooring. · Additional upstairs bedrooms are well-sized and bright, and are connected by a Jack and Jill style bathroom. · Main level bedroom and full bath are ideal for guests. · Two car garage easily fits vehicles with extra storage space. · A patio overlooks the private backyard and is perfect for outdoor enjoyment and entertaining. · Fantastic location that’s convenient to interstates, restaurants, and shopping. 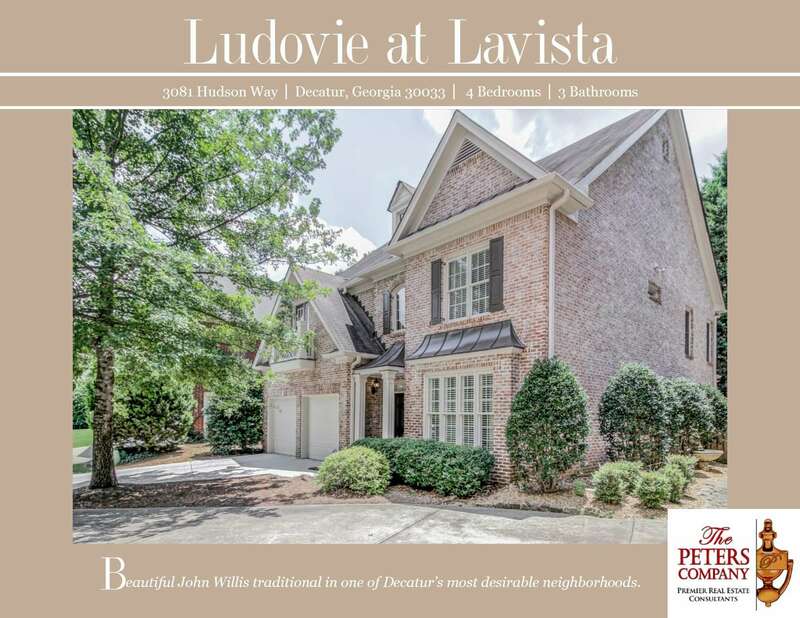 Call The Peters Company today to see this wonderful home at 3081 Hudson Way… 404-419-3619! ← Just Listed :: Updated Charmer in Ridgewood Heights!